The Upper Sirhowy Valley in South Wales is steeped in industrial history. Coal mining was at the heart of this industry and the pits that lined the River Sirhowy were linked by a tram road. The Sirhowy Tramway, which opened in the late 18th century, was one of the earliest railways of its kind and was responsible for the growth of Newport as a major coal port and ultimately a city. The ‘black gold’ and iron from this region helped power the Industrial Revolution. Can you match the images with today’s scene and stand in the footsteps of the original photographer? 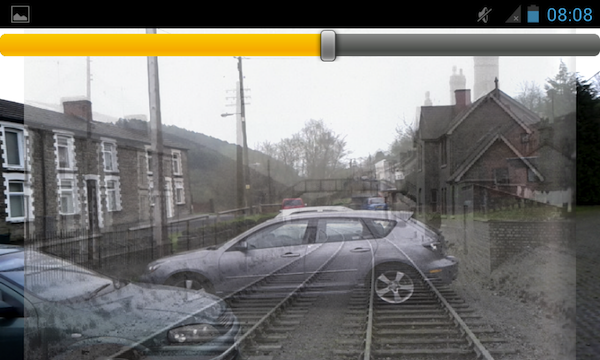 This app, produced on behalf of Caerphilly Borough Council, allows you to view and fade archive photos of the valley in the setting they were taken, and discover fascinating information about the Upper Sirhowy’s rich past.